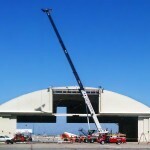 Large hangar door applications do not have a one-type-fits-all solution. Fortunately there are several products to choose from. 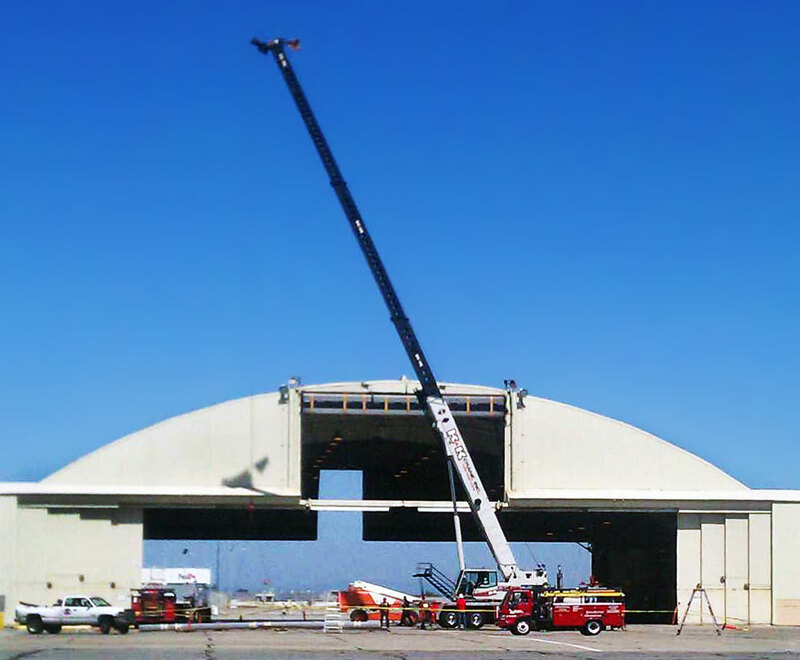 Vertical bi-fold doors have been a favorite of the aviation industry. Available in both aluminum or steel bi-fold hangar doors are easily opened and closed by a simple push of a button. 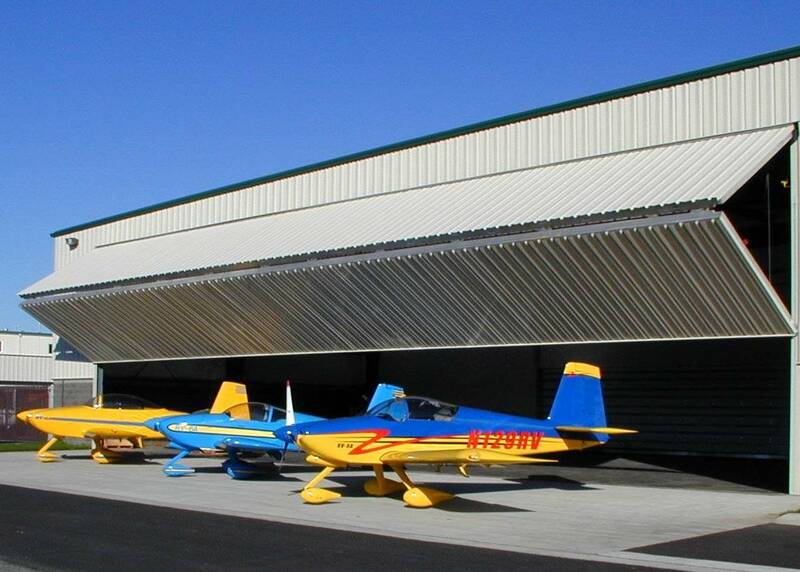 Side rolling hangar doors are an economical solution for large or extra wide openings. Available as uni-directional, bi-parting, full-floating configurations. Available in both lightweight aluminum and cost-effective steel, hydraulic doors are the answer when headroom is limited. Constructed as a multi-leaf bi-parting system, telescoping doors are a cost-effective, safe, design that’s easy to maintain.